3. Run Amok Gallery in George Town. Edit: This gallery is currently on hiatus. A handwritten zine with photos and doodles from my trip to to Tokyo in June 2018 with my friend Patricia, with occasional appearances of other friends who are living there or also traveling around the same time. The whole trip was centered on stationery shopping and journaling. A handwritten zine with photos and doodles from my trip to London in April 2018 to watch Hamilton – includes my review on Hamilton, and Everybody’s Talking About Jamie. From this issue onwards, all Mari no Tabi zines come with a Souvenir Edition that will be packed with souvenirs from my trips. Tapir Post is more or less an extension of my blog, but focusing on books for children and young adults. As with previous issues, I will add contributions, as well as opinions and occasional interviews not included on this blog. From this issue onwards, Tapir Post will be more or less an extension of my blog, but focusing on books for children and young adults. As with previous issues, I will add contributions, as well as opinions and occasional interviews not included on this blog. 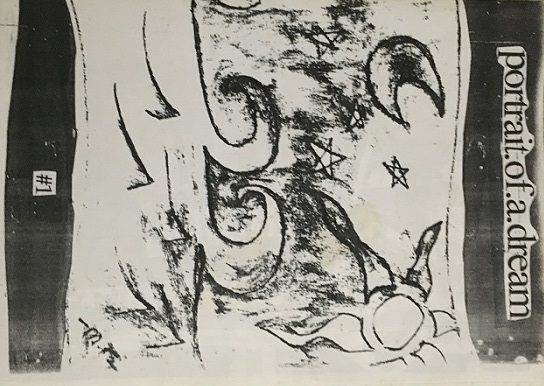 A zine made of thoughts, comments, and reviews on books for children and young adults. This issue includes an interview with local children’s fiction author Heidi Shamsuddin. 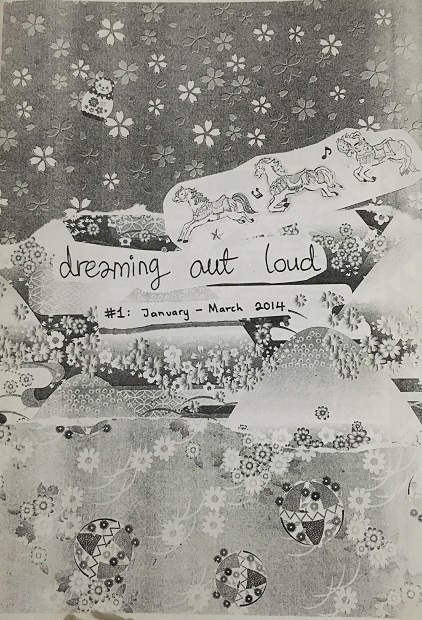 A zine made of thoughts, comments, and reviews on books for children and young adults. My personal zine, full of fragmented thoughts and unfinished stories, along with comments on books and music. A zine about being an Arashi fan, and going to Arashi concerts and related places throughout 2010 to 2015, and how all of it changed me. Includes guides to Aiba Masaki’s family restaurant, drama set locations, TV stations, secondhand merch shops, and other stuff. Three mini zines, each featuring five Diana Wynne Jones books. The first volume’s by Daphne Lee, the second volume is by me, and the third volume is by Seto Kit Sau. A reading log, with mini reviews of every single book I read from January to March 2014. Originally made for swap-bot’s 1st Quarter Reading Log 2014 Swap. Two mini-zines made for Swap-Bot’s “Anything Goes Mini Zine Swap”. The first is the zine I actually made for the swap, which includes my favourite places in Tokyo (plus a couple others), why I like them, and directions on how to go there. The second is a J-Pop version spin-off in which I only list places to buy J-Pop/J-Rock related merchandise. A kind of teenager-y zine made by four soon-to-be-30-year-olds. Thoughts on growing up, being a grown up, still being hung up on the same things, and lots of random scrawls and doodling. Except for three entries, this zine was entirely made up during a 2-hour tea break. This zine is almost a graphic novel, with art by hermitstyle. It contains true stories, or confessions. This is a collaboration with Jun Kit. This issue came out after a year-long hiatus (for superfairyanimal), so I guess that’s accomplishment enough. I thought I was never going to zine again, after not feeling motivated to do so for so long. Even though I finished this zine in late 2005, all the writing in it are from 2004. When Mackie submitted the cover she did for this issue, I knew it had to be in colour! So this issue cost the most of all my zines. I like this one; it’s all just stories by all my favourite people, and myself. A zine made from complete fun, with silly doodles, photographs, and sketches by Pixie Paul (me), Pony John (Amanda), and Tape-chan (Jun Kit), with guest appearances by Luna (Nazleen) and Monk-chan (Kumaran). Besides the images, the three of us also wrote an account of THE JANUARY NIGHT from our own point of views, and there’s the list of songs from the mix CDs we each made for that day. With this particular issue, I really wasn’t quite sure what I was doing. I was feeling a bit lost because I just dropped everything in ODU and moved back to KL because of many reasons, one of them being deep depression. This is the shortest zine I’ve made, not including mini-zines. And it’s about Amanda, or to Amanda, except for one poem. I like this issue, because (1) Jun Kit did the cover, (2) Amanda’s artwork is in it, and (3) a lot of the writing in it meant a lot to me, not because I think they’re so great or anything, but because writing them taught me a lot about things. 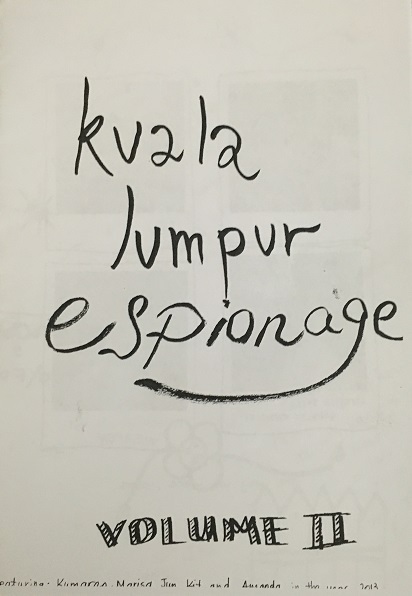 Love letters to Kuala Lumpur and my friends, that kind of thing. I worked on this soon after #1, and I guess even now I think it was a bit too rushed, but at the time I really wanted to have the material for the zine done. If I remember correctly, I finished this zine really really fast. And… it’s about leaving Malaysia, I guess. I just couldn’t do another issue of Celestial Night and I didn’t zine for about six months, before I suddenly worked on this. The zine name was from the title of an article about Bjork. I was in my last semester in Nilai and was about to leave for ODU when this issue came out. This zine is about heartbreak and senioritis. This is my favourite issue because I think after feeling kind of confined by Celestial Night, writing this felt really great. Joint zine with Natelie’s My Secret Diary (Amarita had left this zine by then). It’s definitely the most fun to make, as I was in college at the time, and Natelie still in Form 5, and on weekends I’d head to KL and we’d hang out at Mos Burger and just work on the zines together for hours. Again, mostly short fiction, with some poetry, lyrics, and illustrations. A review of James Lee’s Snipers. This issue was called “misadventures of a glitterfae” but I reverted back to Celestial Night by the next issue. Mostly short fiction, with a few rants/opinions scattered about. Plus zine and mixtape reviews, plus actual mixtape songlists. Reviews of Harry Potter and the Goblet of Fire, The Lives of Christopher Chant, and The Dream Hunters; a report on the Philips Rush-X event (I was really into the X-Games back then) with an interview with Eric Burke, one of the inline-skaters at the games; a postcard I received from Francesca Lia Block with answers to burning questions; a friend’s report on No Doubt’s live concert in Malaysia; and a tribute to Daria. The Harry Potter issue, I guess. We were all pretty obsessed with the series already, and it seemed like the right time. We wrote reviews and opinions on the series. This issue also had short fiction and poetry that are not HP-related. First and only zine made in collaboration with the witchbaby egroup. Stories, poetry, and Francesca Lia Block fan art, as well as the first chapter of the story we were all writing together (which went on for five, six chapters before we stopped, if I remember right). Stories, poetry, comics, fanfic, illustrations, lists, and reviews. First installation of the serial Pretty Good Year. Stories, poetry, comics, reviews and lists by friends from my new school and old, plus friends from the witchbaby group. Topic on “speak out” – FGM. More stories, poetry, and comics by me and friends from the different schools I went to. Plus rants about how girls are depicted in teen/beauty mags and the beginning of the “speak out” section where we all air out our thoughts on various issues. Short stories, serials, comics, and poetry by Yasmin, Luna, Sylvia, Shaz, Tania, Jessica, and myself. After a vote done with old classmates and new, rosefire became celestial night. I went to a girls’ school. Go figure. This issue had short stories and poems by me, and two friends, Yasmin and Luna. When working on this, I had at least zine by someone else. One other zine, called Adele. Learned basic copy-and pasting, hands-on layouting, and had more fun working on this. So. I started this zine with a vague idea of what “real” zines were (having previously done zines without knowing that other people were doing it, and that it was actually a thing), but no idea what a regular zine even looked like. Includes contributions from curious friends and classmates. It was fun, working on it as a collaborative effort.